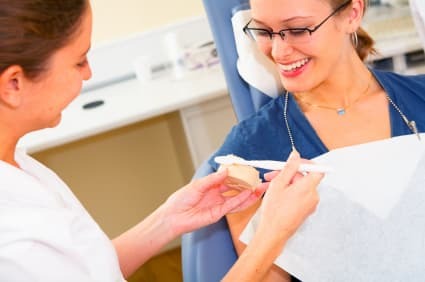 Despite the busy life, Nate Berkus, an author, interior design guru, and host of his very own TV program, The Nate Berkus Show, he still doesn’t fail to spend time caring for his oral health. Berkus understands how a beautiful smile is vital for everyone’s career and life. In one of the interviews conducted by Dear Doctor Magazine, the man shared with the public the history of his dental health. According to him, he owes his all-natural smile to the treatment he received during his childhood days at the dental chair – dental sealants. He proudly said that there were no cosmetic dentistry procedures involved in his glowing grin. Dental sealants are necessary for protecting the newly developed young teeth before the maturity of the enamel. If these coatings are not applied, the immature enamel will become more porous, giving way for the acids in the mouth to spread damage to the teeth more easily. In addition, tooth decay is most likely to occur. Dental sealants are made up of clear shaded material. The coatings are usually applied to the chewing surfaces of the back teeth where food debris are more likely to settle. The sealants serve as a barrier that protects the decay-prone teeth from the attacks of acids and plaques. No matter how you brush your teeth, the bristles may still not access and clean the deep grooves of the teeth thoroughly. Nevertheless, when sealants are used, along with practicing good hygiene and proper nutrition, the chances of getting decay are greatly reduced. Sealants, moreover, can prevent the children’s need for subsequent treatments as they grow old – just like in the case of Nate Berkus. “I’m grateful for having been given fluoride treatments and sealants as a child. Healthy habits should start at a young age.” Berkus stated. Get added protection to your teeth. Book an appointment with us at The Holistic Dental Center for your Sealants in Spokane, WA under our Preventive Care Services! Our dental office is located at 731 W. Indiana Avenue, Spokane WA 99205.